Experience the best of Las Vegas living in a one, two, or three bedroom apartment at Ascent at Silverado. Each of our homes has been thoughtfully renovated with modern touches to complement your unique style. Hardwood-style flooring makes for a contemporary, easy-to-clean option, and extra-large closets keep your belongings organized and out of the way. 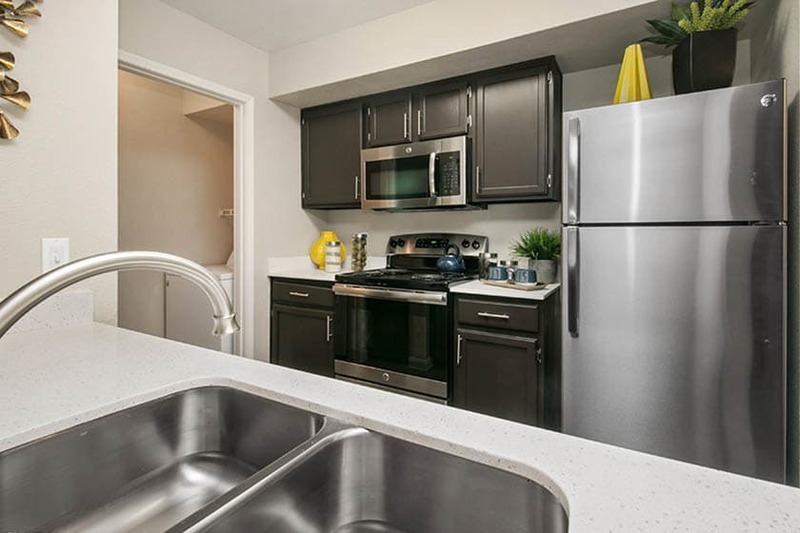 Spacious kitchens feature dark-wood cabinetry and sleek stainless-steel appliances. Prepare a gourmet meal and enjoy it al fresco on your private balcony or patio. 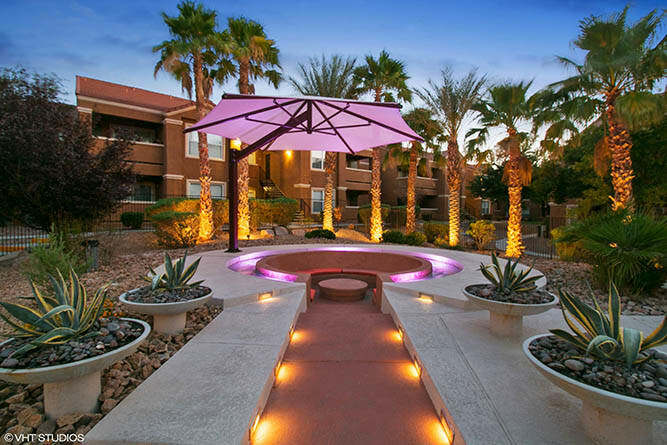 When the time comes to head into downtown Las Vegas, nearby I-215 puts you just minutes from your destination. Las Vegas may be world-renowned for its hospitality, but you’ll find Ascent at Silverado provides world-class comfort and convenience right here at home. Soak up some rays on the sundeck of our resort-style pool, or relax in the community hot tub. 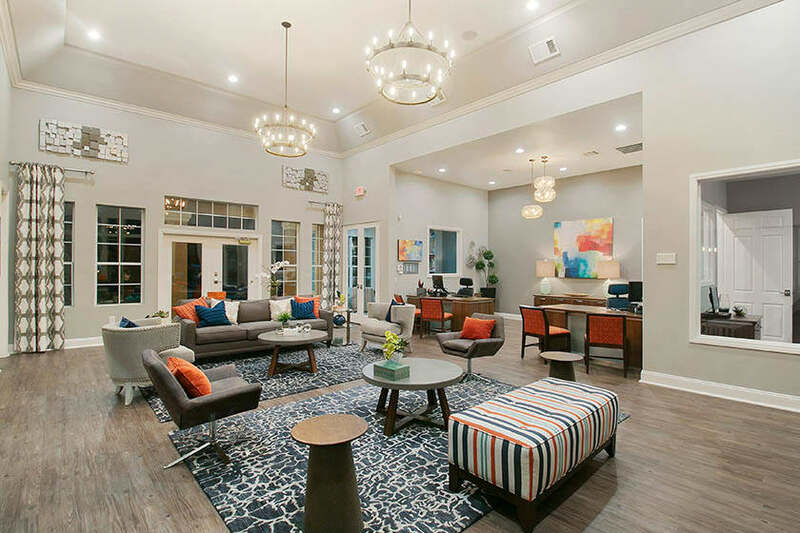 Our on-site resident fitness center is open 24 hours, so no matter what your schedule is you can fit in a workout with the state-of-the-art cardio and weight machines. Need to print something out? Stop by the business center and use one of the computers there. Then get to know your neighbors at the resident clubhouse, complete with kitchen.